The flu is not something anyone should take lightly. And there’s a lot of misinformation surrounding the virus that might affect how people deal with it. Here are seven common myths you shouldn’t believe about the flu. Some people might still believe the old adage: “Feed a cold, starve a fever.” “The belief is that eating food may help the body generate warmth during a ‘cold’ and that avoiding food may help it cool down when overheated” — i.e., during a fever, according to Scientific American. But medical science disagrees. Eating enough healthy food and getting ample fluids are important anytime you’re sick. Even if you don’t have an appetite, your body needs the nutrition. In fact, when you have a fever, your metabolism is running in overdrive. Thus, you must feed your body to make up for those extra calories it’s burning. Yes, flu season does coincide with the colder months of the year. Lower humidity and people spending time indoors in close quarters allow the virus to spread more easily. But being chilled won’t automatically make you sick. You won’t necessarily come down with the flu just because you forgot to wear a hat on a cold day or went outside with wet hair — though doing so might lower your body’s defenses. Still, you must be exposed to the influenza virus to get the flu. And that might even be more likely in your warm, toasty office rather than the frigid outdoors. 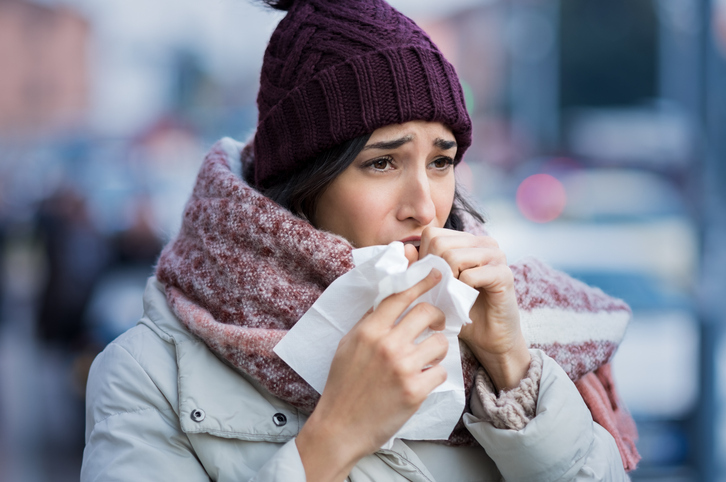 “The bottom line is that cold doesn’t cause illness, although weather or other factors may weaken your ability to fight off illness,” according to Healthline. Maybe your co-workers all have the flu, but you feel fine. That’s lucky for you, but you still could be contagious to others. In fact, “20% to 30% of people carrying the influenza virus have no symptoms,” according to Harvard Medical School. So especially if you know you’ve been exposed to the flu, take precautions to avoid spreading it. Wash your hands often, avoid close contact with people, cover your mouth and nose if you cough or sneeze and take care of yourself. A little extra vigilance could make all the difference. If you’re young and healthy, your immune system likely has a better chance of fighting off viruses. But that’s no reason not to take flu season seriously. “In the United States alone, 36,000 people die and more than 200,000 are hospitalized each year because of the flu,” according to Harvard Medical School. Maybe the worst that happens to you is you have to spend a couple days home sick from work. But carrying and spreading the virus could have much more serious consequences for others — including hospitalization and even death. So do your part to keep yourself and others healthy. There are many myths about the flu shot. And one of the most prevalent ones is it can actually make you sick with the flu. That’s false. “Injectable flu vaccines are composed of pieces of inactivated flu proteins — and it’s impossible for them to ‘cause’ flu,” Mayo Clinic says. “The nasal spray vaccine has live flu organisms weakened so they cannot multiply or cause disease.” Plus, according to Harvard Medical School, it takes one to two weeks for the vaccine to begin protecting you. So if you get sick right after your flu shot, it’s not the vaccine’s fault at all. Yes, the flu shot raises your defenses, but it doesn’t make you invincible against the flu. Sometimes the vaccine doesn’t work well against the influenza strains circulating. Or your immune system is compromised. Or maybe you already became infected before the vaccine could work. 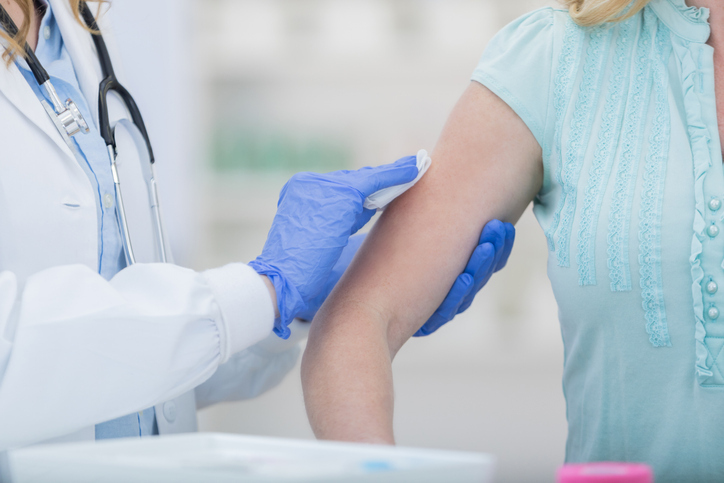 “Vaccines are like seat belts: They are not perfect but they are the best protection we have against serious injury and death,” Mayo Clinic says. So even if you’ve had your shot, you still should take further steps to ensure your health. Some people might rush to their doctors at the first sign of flu symptoms, hoping for medicine that can speed their recovery. Unfortunately, antibiotics won’t work against viral infections like influenza. Most people with average flu symptoms just have to ride out the virus and boost their recovery with healthy nutrition and rest. But there are times when antibiotics end up being necessary. 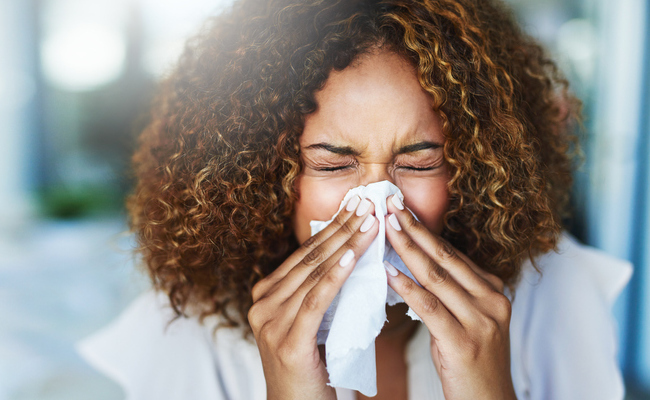 “Some people develop a bacterial infection as a complication of the flu, so it may be a good idea to get checked out if your symptoms drag on or worsen,” according to Harvard Medical School. Always take any signs of illness seriously during flu season, and seek care as soon as possible.